Like your turn-based strategy RPGs devastatingly bleak? Me too, chums. 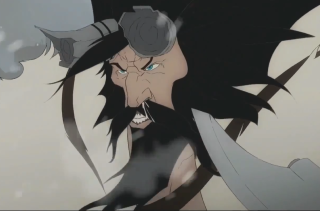 So it's good news, because the first trailer from the sequel to The Banner Saga, the none-more-Nordic game of combat and crushing heartbreak, looks as grim and icy as ever. "No matter how difficult the decisions, or how painful they might be, I give you my word, my oath, we will survive" intone the boy-girl narrators simultaneously. Not with me at the helm they probably won't. Sadly there's no release date for The Banner Saga 2 yet, but just knowing work is progressing on it makes me happy. In an all things must die eventually sort of way.